The Department of Environment and Natural Resources (DENR) – Environmental Management Bureau (EMB) launches its very first solar rooftop panels alongside it’s the newly-installed LED (Light-Emitting Diode) board as part of its campaign to promote clean energy and clean air. DENR Secretary Ramon JP Paje unveiled the 100-kilowatt (kW) “Solar Project,” a solar rooftop program for government agencies in partnership with state-owned Philippine National Oil Company (PNOC) at the rooftop of the EMB’s Environmental Research and Laboratory Services Division building. 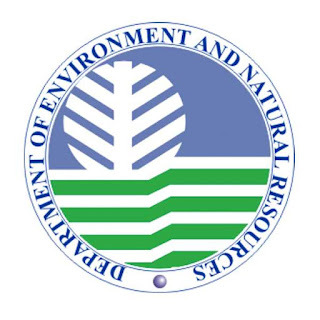 According to Paje, the solar panel facility will allow the DENR to generate approximately 140,000 kWh of electricity per year which in turn, can generate savings of about P1,400,000 per year for government offices. The country’s number one mobile brand, Globe Telecom, is changing the landscape of Philippine entertainment with the creation of Globe Studios and Globe Live which are designed to produce original shows, live events, and engaging world-class content that are fit for today’s discerning customers. At the same time, Globe reveals the line-up of its new international content partners and improved broadband plans for a complete and immersive entertainment lifestyle. 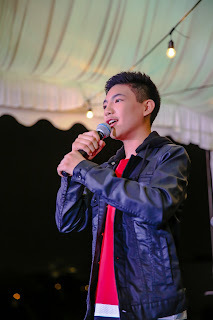 Darren Espanto, the so-called Total Performer, is not only making waves in the Philippines but has been conquering the international scene as well. The most recent, in Singapore. Alexander Skarsgard, the Wild One in "Legend of Tarzan"
Skarsgard plays John Clayton III, fifth Earl of Greystoke, and a member of England's House of Lords. But half a world away, and what seems like a lifetime ago, he had gone by another name…a name that has since become legend. Tarzan. Filipinos will be able to watch the livestreaming of the June 30 inauguration of Rodrigo Duterte as the 16th President of the Republic of the Philippines, on mobile and for free. Smart, TNT and Sun subscribers nationwide will be able to do this using freenet, the free data platform of Voyager Innovations, the digital innovations unit of PLDT and Smart Communications (Smart), in cooperation with Cignal TV. 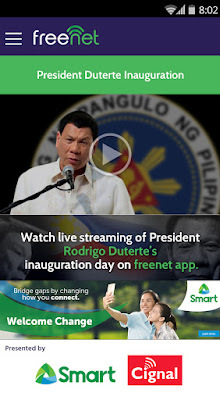 Subscribers only need to download the freenet mobile app from the Google Play Store or the SafeZone app from the Apple App Store to view the free mobile livestream of Duterte’s inauguration on June 30 and take part in the historic event no matter where they may be in the country. How can a theater company help raise mental health awareness by staging a play that tackles the theme of depression, suicidal tendencies and suicide itself? Catch Twin Bill Theater’s eye-opening production aimed to shed light and raise awareness on mental health issues to its audiences in “SUICIDE INCORPORATED”--- a 2010 tragicomedy by brilliant Off- Broadway playwright Andrew Hinderaker. Imagine a world where a company that edits suicide notes exists. Now imagine being part of that company. SUICIDE INCORPORATED centers around a company that makes money by drafting suicide notes. The business is Hallmark gone Wall Street, turning a profit by bullishly pushing its clients to perform the unspeakable. The CEO speaks, in an advertiser’s tongue, about cornering the market by targeting those suicide victims least likely to leave notes: Men. It turns out all these men are emotional mice when it comes to discussing matters of the self. “Dark days of hell isn't fiction. It's prophecy.” So starts the latest trailer of Columbia Pictures & IMAGINE Entertainment's new action-thriller “Inferno” starring Tom Hanks as symbologist Robert Langdon who must solve a deadly puzzle to avert a global plague. The trailer may be viewed at https://youtu.be/aefSlgZhxVo. 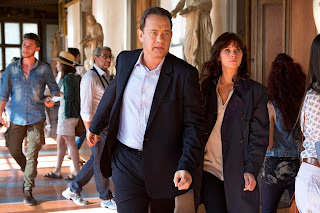 “Inferno” is the third film in the studio's Robert Langdon series (including “The Da Vinci Code” and “Angels & Demons”). James Bobin (“The Muppets”) directs Disney's “Alice Through the Looking Glass,” bringing his own unique vision to the spectacular world Tim Burton created on screen with 2010's “Alice in Wonderland” which became a global blockbuster (to the tune of over $1-billion gross) and cultural sensation. 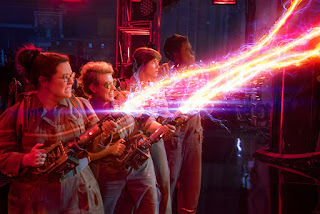 Coming off an acclaimed turn in the Oscar-nominated “The Martian,” top American comedienne Kristen Wiig stars as Erin Gilbert, a particle physicist, academic firebrand and spectral warrior in Columbia Pictures' new action-adventure “Ghostbusters” (coming to Philippine cinemas July 15). 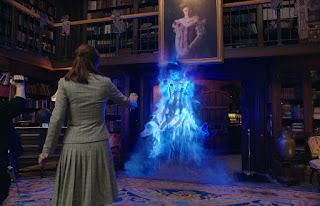 Watch the “Ghostbusters” Character Vignette Erin (Kristen Wiig) at http://youtu.be/rHeyB6cN2bw. “Ghostbusters” makes its long-awaited return, rebooted with a cast of hilarious new characters. Thirty years after the beloved original franchise took the world by storm, director Paul Feig brings his fresh take to the supernatural comedy, joined by some of the funniest actors working today – Melissa McCarthy, Kristen Wiig, Kate McKinnon, Leslie Jones, and Chris Hemsworth. This July, they’re here to save the world! It has been a busy time for Julie Anne San Jose. From a busy 2015 with album launch, and the teleseryes she made with GMA, and recently finished her concert last May at the Kia Theater. Now she is celebrating her 22nd birthday doing another charity work as her way of giving back to people. She celebrated her birthday at the amazing grounds of Dreamplay located inside City of Dreams with the kids from Virlane Foundation. The amusement center is filled with rides and activities inspired by Animated Dreamworks movies like Shrek, Dragons, and Madagascar. 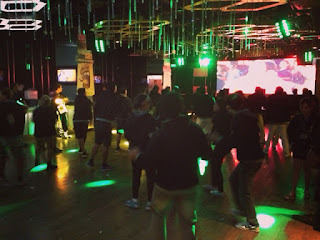 Star Movies Goes Move-A-Thon Dancing Up To 24 Hours! Star Movies always makes something interesting every year with constant theme of going on marathons. In the past years, there has been events that invites viewers to take the challenge like the Movie Marathon, the Scare-A-Thon, and for 2016, they wanted a little more jive with Star Movies Move-A-Thon. Move-A-Thon, a movie marathon that required non-stop dancing from contenders who wanted to be declared the Philippines’ ultimate film lovers. Groups of avid film viewers shimmied and shook their “groove thang” for up to 24 hours straight while watching the best and most popular movie musicals of all time—all for the chance to win the grand prize of PHP200,000. A great American tradition welcomes the world to participate, in the latest trailer of Universal Pictures' “The Purge: Election Year” which may we viewed at http://youtu.be/LreZsVNeGA0. 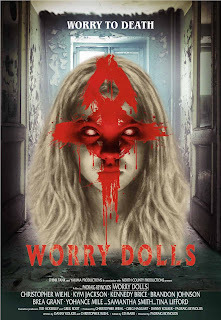 In the trailer, the annual Purge has now been opened to foreigners, triggering the arrival of “murder tourists” eager to take part in the bloodbath. Expanding the universe introduced in the hit franchise that electrified the culture and earned $200 million at the worldwide box office, “The Purge: Election Year” reveals the next terrifying chapter that occurs over 12 hours of annual lawlessness sanctioned by the New Founders of America to keep this country great. Do you feel bloated or suffer headaches after eating certain food items? Your body may be “secretly” reacting to the food you have just eaten. It is also possible that some of the recurring health issues you have been experiencing are caused by certain food that your body cannot tolerate. Pet owners adore their furry companions and treat them just like a part of their family. 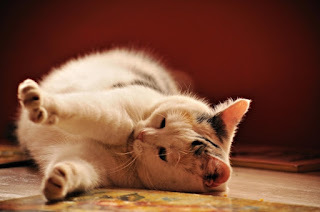 Pets indeed have their unique ways to make their pet parents feel special, and owners reciprocate the love and affection through belly rubs, cuddles, and hearty meals and treats. Food can be a great way to strengthen a bond with a pet, but what most pet lovers don’t recognize is the tendency to overfeed. Paired with insufficient exercise, overfeeding is a primary cause of obesity. An overweight pet means that it is consuming more calories than it actually needs which can severely lower the pet’s quality of life. The danger lies in several factors which include the nutritional inadequacy of foods given to pets, the frequency of feeding, and the lack of physical activity. When obesity strikes, the pet can be vulnerable to the risk of osteoarthritis, diabetes, certain cancers, heart and respiratory diseases, and other illnesses. Bocsh Grew by 35% in 2015! Bosch, a leading global supplier of technology and services, closed its 2015 fiscal year with USD 50 million (45 million euros) in consolidated sales in the Philippines. Compared to the previous year, the company achieved a strong double-digit growth of over 35 percent, marking the second consecutive year in which the Philippines was one of the fastest-growing markets for Bosch in Southeast Asia. This momentum was driven by a strong performance across the company’s diverse portfolio of products offered in the country and particularly related to power tools, security systems, and the automotive aftermarket business. 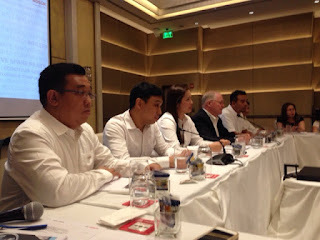 Furthermore, Bosch’s Drive and Control business division officially commenced operations in the Philippines in April 2015. Over the course of the year, Bosch increased its workforce in the Philippines by over 50 percent to around 460 associates. The new trailer of Paramount Pictures' new epic, action-adventure “Ben-Hur” is now online, and proudly showcases its Christ-centric tone. 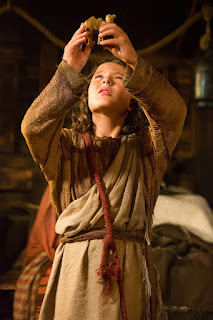 The trailer may be viewed at http://youtu.be/-OE46mqgXqo. 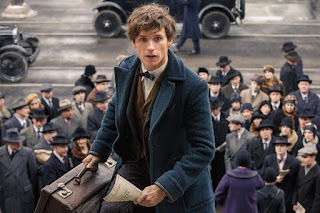 For its upcoming adventure “Fantastic Beasts and Where to Find Them,” Warner Bros. Pictures has just shared a new featurette titled “Newt Scamander: A New Hero for a New Era of Magic” which may be viewed at https://youtu.be/d_Z-lr_YUcE. In this featurette, we learn more about Scamander and his personality. We also learn a bit about how the magical world operates in North America, specifically with regards to interactions between wizards and muggles (or as they’re called in America, “no-maj”). Tom Cruise returns as best-selling author Lee Child‘s one-man vigilante in the just-released action-packed trailer for “Jack Reacher: Never Go Back.” The Paramount Picture is due in Philippine cinemas this October. 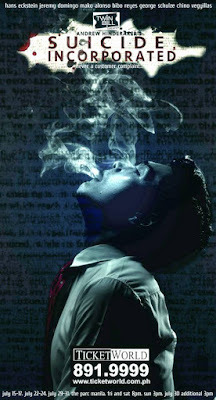 Watch the trailer here at http://youtu.be/gMzBfZx1M7M. The follow-up to 2012's “Jack Reacher” finds the titular character returning to his roots, uncovering duplicitous officials and people of power, until he discovers that the women chosen to take over his role as head of the MP (Cobie Smulders), has been arrested for espionage. It’s payback time in the action-packed “Riot” starring Matthew Reese along with veteran actor Dolph Lundgren about a man who deliberately throws himself into prison to kill another prisoner who murdered his wife. Jack Stone (Reese) purposefully orchestrates a bank robbery in order to be thrown into prison with the notorious Russian kingpin, Balam (Chuck Lidell). More than just a mob criminal, Balam is a very cunning and dangerous lord who controls the police force from behind bars. His cell is a lavish private room built specifically for him, inaccessible to most in the depths of the prison structure. However, Stone eventually finds an ally with a fellow prisoner played by Lundgren. Surrounded by his loyal henchmen and guards in his sectioned off fortress, Balam doesn't know Jack is coming for him to avenge his family, whom Balam murdered in cold blood. 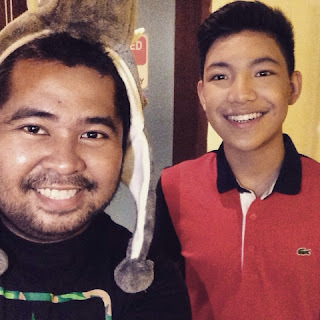 Darren Espanto has finally moved into another level now as a teenager with more projects and a growing fanbase all over the world. Many can still remember when he got his biggest break with The Voice Kids, but he also had a much earlier career from his hometown Calgary, Canada and moved to Manila for a dream paid off. Now he has a Platinum award for his debut album “Darren”, 3 #1 singles, countless awards from prestigious award giving bodies in the Philippines and concerts and gigs left and right are just some of Darren’s achievements. Add to that, he was noticed by international artists Nicki Minaj, Ashton Kutcher and Fantasia Barrino for his viral videos of him singing in a radio station bus showcasing his powerful vocals. 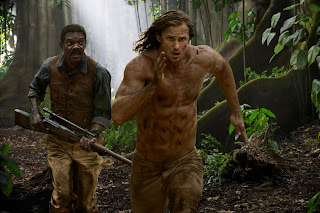 First appearing in the 1912 story Tarzan of the Apes, Edgar Rice Burroughs’ Tarzan has remained one of the most enduring characters of 20th-century popular culture. The legendary “lord of the apes” has inspired films, TV serials, radio plays, stage productions, comics and video games. 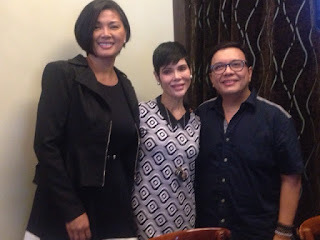 Beauty Powercouple Manny and Pie Calayan Expands With A New Branch In Cebu! It has been a while since we seen the most known couple in the beauty business, Manny and Pie Calayan are excited to reach to more customers this year by expanding their reach beyond Metro Manila. They announced that they will be opening their first provincial branch located at SM Seaside City Cebu on July 3. Known to be the trusted brand of many celebrities and has paved the way to revolutionary procedures in the Philippines, the couple attracted a lot of clientele with their services. It is also serves a comeback for the couple since Dr. Pie went to the United States to take care of their children finishing college. One of their children have a degree in Alternative Medicine which will soon be integrated to their business. 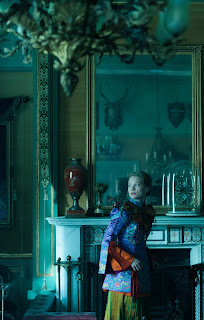 In “Alice Through the Looking Glass,” an all-new spectacular adventure featuring the unforgettable characters from Lewis Carroll’s beloved stories, Alice returns to the whimsical world of Underland and travels back in time to save the Mad Hatter. 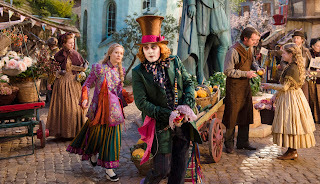 Johnny Depp (the “Pirates of the Caribbean” films) returns as Hatter Tarrant Hightopp, better known as the Mad Hatter, whom Alice finds more mad than usual upon her return to Underland. Desperate to find out what has happened to his family, he is out of his mind with grief when Alice first arrives. Matt Damon returns to his most iconic role in “Jason Bourne.” Paul Greengrass, the director of “The Bourne Supremacy” and “The Bourne Ultimatum,” once again joins Damon for the next chapter of Universal Pictures’ Bourne franchise, which finds the CIA’s most lethal former operative drawn out of the shadows. 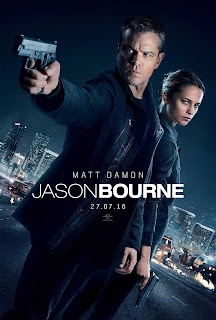 For “Jason Bourne,” Damon is joined by Alicia Vikander, Vincent Cassel and Tommy Lee Jones, while Julia Stiles reprises her role in the series. Frank Marshall again produces alongside Jeffrey Weiner for Captivate Entertainment, and Greengrass, Damon, Gregory Goodman and Ben Smith also produce. Based on characters created by Robert Ludlum, the film is written by Greengrass and Christopher Rouse. What is the mark of a good business? Is it the consistent increase in sales; the continued accumulation of assets or a financial statement that will keep investors smiling? Five or ten years ago, these figures may be enough, but in the current business landscape, there is one other factor that has become critical in building a strong foundation-- Trust. TRUST has become a “high-value” currency that is accepted globally outweighing the value of any monetary conversion. Gone are the days when people just look at the lavish office buildings when choosing their banks, on shiny new equipment of service centers or rely on commercials and celebrity endorsers when deciding which brand to purchase. Every artist have dreams to pursue, but it is how one conquers those dreams that make a difference. Over the last couple of months, noted award-winning actor and classical / crossover artist AL GATMAITAN was quietly working on a dream project to further hone his craft in music and theater. Another OPM icon has come home to Star Music. 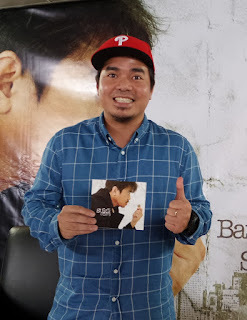 After 10 years, OPM rap icon Gloc-9 has finally released his comeback album with the record label titled “Sukli,” for which he also served as the overall producer. “I'm excited for all the things that I can do now that I’m back with my Star Music family. ‘Sukli’ is an album that proves writing songs is still my dream come true. I am happy that my fans, who continue to support me, will hear the new songs I made,” said Gloc-9. With six studio albums, one DVD release, and multiple hit songs to his name, Gloc-9 doesn’t really have much more to prove. Yet “Sukli” reveals a rapper who still continues to work hard at his craft, wanting to deliver something new for his listeners. The album’s carrier single “Hoy!,” whose music video was recently released, is about the Filipino spirit and resilience despite trying times. 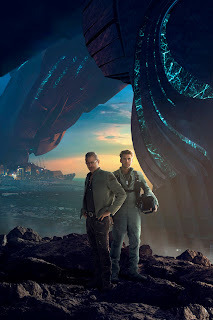 The latest epic battle “Independence Day: Resurgence” by director Roland Emmerich is set twenty years after the alien invasion that nearly decimated the planet and presents an alternate reality to our world today. 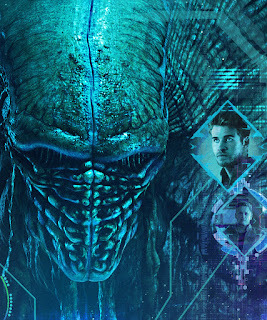 The backstory of “Independence Day: Resurgence” begins in 1996, during an ordinary summer day when, without warning, something extraordinary happened. All eyes turned upward and the question of whether we were alone in the universe was finally answered. In a matter of minutes, the lives of every person across the globe changed forever. With the fate of our planet at stake, the words “Independence Day” took on an entirely new meaning. No longer was it solely an American holiday. It would be memorialized as the day the entire world fought back against a common enemy. 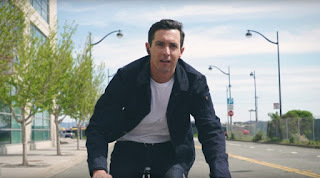 Levi's is the first official partner of Google for Project Jacquard, which will apply the search engine giant’s technology to the brand's iconic Commuter jacket. This is the jacket everyone will want to wear in 2017, when it will be available in Levi’s stores worldwide. What makes the jacket so different? There is a sensor at the wearer’s left cuff, which you can take off and charge with a USB plugin that is linked to the special yarns in the jacket’s fabric. The sensor is touch sensitive, allowing wearers to answer or decline calls, skip songs and adjust the volume on their playlists and even access turn-by-turn directions with simple gestures like swipes and taps. 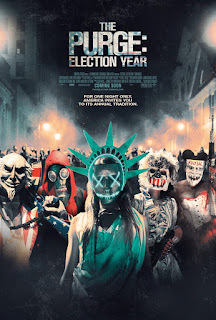 Choose your side with newly-released brand new posters from Universal Pictures’ suspense thriller “The Purge: Election Year,” and declare whether you purge for the Nation, the People, Liberty, Glory or Power. FOX Filipino has announced that it will soon feature one of the most talked about local drama series in the country, My Husband’s Lover, which premiered on the channel on June 20, 2016. This groundbreaking series that follows the story of a woman’s awakening to her husband’s hidden sexuality will be shown on weeknights, with back-to-back episodes from Monday to Friday, 7 PM to 8:50 PM. Fans of My Husband’s Lover can also get their fill of this critically acclaimed drama with replays on weekdays from 7 AM to 9 AM and marathons every Saturday from 9 AM to 5:55 PM. Fujifilm is launching three new stylish colors for the Instax Mini 70 instant camera: Midnight Black, Passion Red, and Stardust Gold, making it the perfect accessory for the cool and the fashionable. 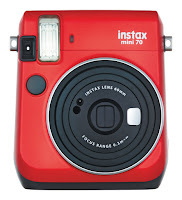 With its new colors, the Instax Mini 70 can not only capture your OOTDs, but match them perfectly as well. Late last year, Fujifilm launched its Instax Mini 70, initially available in three colors: Moon White, Canary Yellow, and Island Blue. The instant camera has a sleek and modern design, and is the perfect camera for taking selfies. Its new selfie mode provides the appropriate brightness and shooting distance for any selfie, and its selfie mirror located beside the lens allows you to check your framing before you take that shot. Its automatic exposure control captures bright backgrounds and subjects even in the dark, letting you take a selfie anywhere you go. Another awesome feature is the hi-key mode that lets you capture bright beautiful skin tones, giving you flawless selfies. 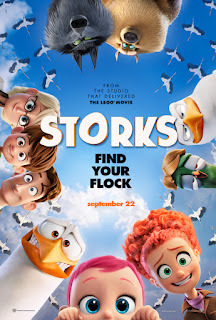 The new trailer of Warner Bros. Pictures’ new animated feature “Storks” has just been unveiled – together with a brand new poster -- which may we viewed at https://youtu.be/1r1gJ_LUKOM. “Storks” stars Andy Samberg (“Cloudy with a Chance of Meatballs,” “Hotel Transylvania”), Kelsey Grammer (“Toy Story 2,” “The Simpsons”), Katie Crown (Cartoon Network’s “Clarence”), Keegan-Michael Key (“The Angry Birds Movie,” “Keanu,” “Key & Peele”), Jordan Peele (“Keanu,” “Key & Peele”), Jennifer Aniston (“We’re the Millers,” “Horrible Bosses”),Ty Burrell (“Modern Family”), and Danny Trejo (“The Book of Life”). In the film, storks deliver babies…or at least they used to. Now they deliver packages for a global internet retail giant. Junior (Andy Samberg), the company’s top delivery stork, is about to be promoted when he accidentally activates the Baby Making Machine, producing an adorable, and wholly unauthorized, baby girl. Paul Abadilla, the US-based Filipino animator from Pixar Animation Studios received a warm homecoming welcome by his family and animation fans in Manila, Philippines. Parallel to the story of Dory finding her way home in the new Pixar film, “Finding Dory” -- Abadilla made his way home to share more about the work he did on the film, which opened here on June 16th. 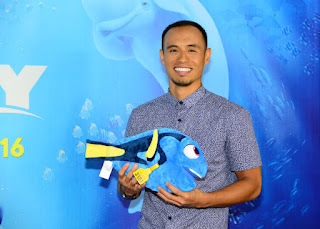 Joined by some of his own family who are still living the Philippines, the Manila-born artist attended the premiere of “Finding Dory” last Saturday, June 11 at SM Megamall. Abadilla also took time out to conduct an Animation workshop, attended by over 250 animation students and influencers last Tuesday June 14 at Makati Diamond Residences. Attendees also received autographed “Finding Dory” concept art. Jollibee, the country’s number one fastfood chain launched its newest made for digital material which premiered just in time for Father’s Day. The two-minuter Father’s Day special, titled “Entrance Exam,” is the latest installment of the fastfood chain’s Kwentong Jollibee series. It revolves around the story of a successful father with high expectations and his son’s earnest desire to fulfill them. The commercial culminates with an unexpected twist—expectations of excellence can be built over decades, but love and acceptance trumps over disappointment at the end of the day. 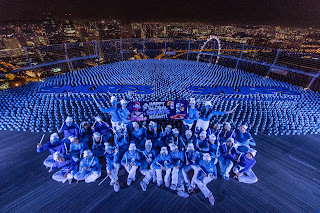 To celebrate the birth month of Peyo, the creator of The Smurfs, Sony Pictures Animation has mounted a Smurfs Invasion of the Skypark of the Marina Bay Sands – with some 5,000 Smurfs figurines! Disney-Pixar's “Finding Dory” brought its big-hearted optimism to the Philippine box-office and swam away with P101.7-M in only four days, shattering the biggest opening weekend record for a Disney-Pixar film. This was announced today by a spokesman of Walt Disney Studios Philippines which distributed the film. 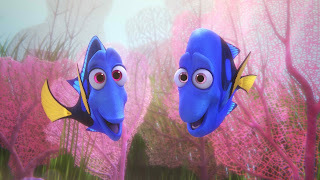 “Dory's” four-day opening weekend figure smashed the previous record of 2015's “Inside Out” (at P97.2-M) for highest opening weekend for a title released by either Walt Disney or Pixar. In the latest epic family movie adventure “Ice Age: Collision Course” from the highly successful “Ice Age” franchise, audiences worldwide will be propelled to new environments like the cosmos and a crystallized world known as Geotopia, with many of the characters beginning their own new journeys. Win a trip to Hollywood for the Ghostbusters World Premiere! The iconic Ghostbusters films took the world by storm 30 years ago and the franchise is returning this July with a fresh take by Director Paul Feig (Spy, Bridesmaids). The film reboot will be taken on by an all-girl group made up of Melissa MaCarthy (Mike and Molly, Spy), Kristen Wiig (The Martian, Bridesmaids), Kate McKinnon (SNL) and Leslie Jones (SNL). Signing up for a new HOOQ account up to June 24 gives subscribers a chance to watch the world premiere with the Ghostbusters stars in Hollywood this July. 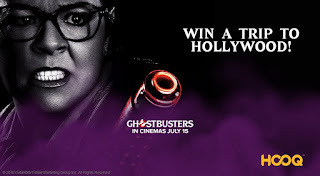 Check out www.HOOQ.tv/Ghostbusters for more details. News flash: The generation that grew up on the buzzing sounds of dial-up internet is now officially grown up and running the world. In fact, not a few of them are already full-fledged fathers. So we threw a couple of these digital dads a fun, hypothetical question: If they could go a few years back in time (back when 3G was new and their own fathers weren’t yet on Facebook), what advice would they give to themselves on how to survive being a father? Our dads will always hold a special place in our hearts. He is the superhero who fought the bad guys so we could sleep at night, the coach who patiently taught us how to fly a kite and ride a bike, and the best friend who always made us feel special even after a long day at work. It’s wistful to think that our dads are slowly approaching their twilight years. As adults, we are often so immersed with our own lives that we overlook the fact that our once strong and active dads are ageing. 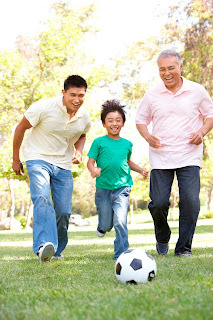 It is now our turn to take care of our fathers and assess if their health and nutrients are still optimized. Every dad dreams of seeing his children have kids of their own. They long for the day when they could give their grandkids piggyback rides, take them to the park, and teach them the things they taught their sons and daughters when they were young.